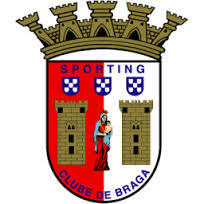 If Braga were serious about sticking close to the Holy Trinity (a phrase first coined by Stephen Gillett) of FC Porto, Benfica and Sporting, they couldn't afford wasting any points in the match against newcomers Belenenses, particularly in front of their own crowd. The match-up was particularly interesting since Braga, despite coming off two wins, were in need of the win so as not to let Sporting leave their sight. Belenenses, in turn, were quite interested in getting at least a point, following their less than auspicious home 3-0 defeat at the hands of Rio Ave.
One of the most interesting things about last night's match was the sight of two ways of combining the 4x2x3x1 and the 4x3x3. Rather than sticking to the usual rules for each system, both coaches chose to mix the two. Jesualdo Ferreira has favoured the 4x3x3 for many yeares now - and it didn't look like he would innovate at Braga. However, perhaps due to Ruben Micael's particular traits, the team defend in a typical fashion for the 4x3x3 (basically, 4x1x4x1, with Mauro behind a line formed by Pardo, Luiz Carlos, Ruben Micael and Rafa, in this specific match), but they attack in something more resembling the 4x2x3x1, with Luiz Carlos staying not too distant from holding midfielder Mauro (one of the most underrated players in the Portuguese league so far) and Micael advancing almost as a second forward. Conversely, Mitchel van der Gaag's team attacked in a 4x4x1x1 of sorts, with Luís Silva just off Deyverson, and Diakité and Fernando Ferreira (who had a nightmare of a match) as more positional midfielders. Even though Luís Silva would remain near Deyverson for the first few seconds while defending, it Braga's attack went on, he would drop back, forming a triangle with Diakité and Fernando Ferreira, the latter retreating to a holding midfielder position. 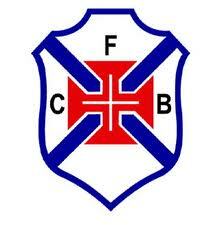 Belenenses won last season's Portuguese second tier at a canter, putting numerous points between them and their rivals. Therefore, expectation ran high ahead of the new season, with coach and players forced to emphasize that this would be a learning season, and not one to fight for European competition. If that was not a wake-up call, Rio Ave's win (and the margin of the win) certainly raised a few eyebrows. Belenenses were hoping to pick themselves up straight away with a good result at Braga, where their previous results had not been exactly favourable. However, the impressions they left on Monday evening at the Quarry did not exactly offer reason for excitement. Despite the coach's words that he had seen a team in their latest match, unlike the previous weekend, there seems to be a lot missing in their game plan. In what will probably be a very tight relegation battle, every point matters and there's hardly any time left for readjustments mid-season - just ask Moreirense, whose excellent form late in the season did not stop them from being relegated. What left the greatest impression on this reporter was Belenenses' apparent inability to initiate attacks, either in attacking organisation or transition (for more on these concepts, please check the previous article). The wingers did not seem quick enough to get past most full-backs in the league and both Diakité and Fernando Ferreira seem more devoted to defensive roles. The team from Belém also looked quite vulnerable through simple passing combinations down the middle, something that does not bode well for the future. Fortunately, there was more than just troublesome signs. This is a team that look especially dangerous from set pieces, which is one of the competition's biggest source of goals - particularly in hard-fought matches against teams "from their own league" - to borrow a phrase from the Portuguese language - namely via Diakité and Kay. Still, this is only round 2 and any conclusion may prove extemporaneous and/or flat out erroneous. Perhaps Mitchel van der Gaag has apllied more intense physical loads upon his team early on, a work that may take some time to bear fruit. Also, this may well be a team still trying to get familiar with their new, more demanding surroundings and one who will thrive when they find their feet. Whatever happens, we'll be here to watch it and report it.